Allentown, PA — The Arts in the Lehigh Valley mean business—and jobs. That is the message being delivered today by Lehigh Valley Arts Council who announced it has joined the Arts & Economic Prosperity® 5, a national study measuring the economic impact of nonprofit arts and culture organizations and their audiences. The research study is being conducted by Americans for the Arts, the nation’s nonprofit organization advancing the arts and arts education. It is the fifth study over the past 20 years to measure the impact of arts spending on local jobs, income paid to local residents, and revenue generated to local and state governments. Lehigh Valley Arts Council will also collect surveys from attendees at arts events using a short, anonymous questionnaire that asks how much money they spent on items such as meals, parking and transportation, and retail shopping specifically as a result of attending the event. Previous studies have shown that the average attendee spends $24.60 per person, per event, beyond the cost of admission. Those studies have also shown that, on average, 32 percent of arts attendees travel from outside the county in which the arts event took place, and that those cultural tourists typically spend nearly $40 per person—generating important revenue for local businesses and demonstrating how the arts drive revenue for other businesses in the community. The 2010 economic impact study of the Lehigh Valley’s nonprofit arts industry revealed a $208 million industry—providing 7,114 full-time jobs and generating $21 million in state and local taxes annually. “Our Arts & Economic Prosperity series demonstrates that the arts are an economic and employment powerhouse both locally and across the nation,” said Robert L. Lynch, president and CEO of Americans for the Arts. “Leaders who care about community and economic vitality can feel good about choosing to invest in the arts. Nationally as well as locally, the arts mean business.” Complete details about the fiscal year 2010 study are available atwww.AmericansForTheArts.org/EconomicImpact. 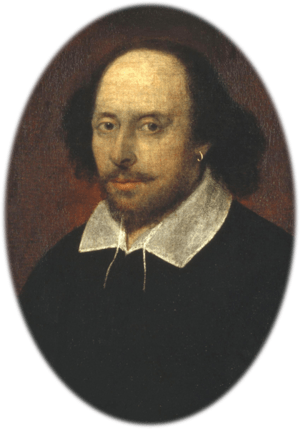 Allentown, PA – Toward the end of his career, Shakespeare broke away from the conventional rules of play writing and wrote a series of plays that featured wild dramatic verse and then-contemporary humor. The epitome of this defiantly innovative approach was “The Winter’s Tale,” written around 1610, and coming to the Muhlenberg College mainstage Nov. 20-24. Dwyer’s aim, he says, is to allow the audience to relax and enjoy the playfulness of Shakespeare’s writing. “The Winter’s Tale” is the story of two intertwined kingdoms gripped by an icy prophecy. A demon bear hunts its victims along the tree-lined shore of Bohemia. Hundreds of miles across the ocean in Sicilia, something just as nightmarish stalks a young queen – her husband’s jealous madness. As both monsters pounce, Shakespeare’s unpredictable fantasy is set into motion. 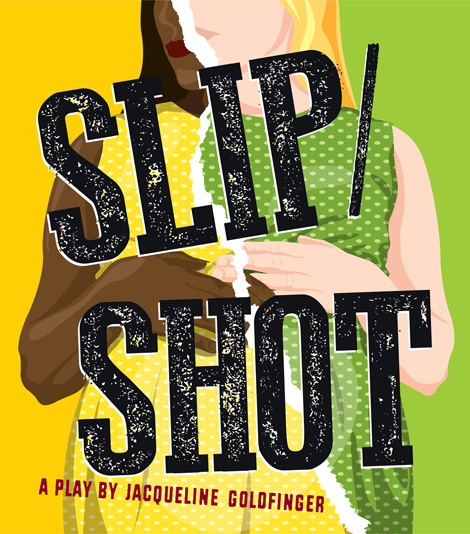 The show runs Nov. 20-24 in the Studio Theatre, Trexler Pavilion for Theatre & Dance at Muhlenberg College. In the interest of expediting the action, Dwyer has cut the play to a brisk two hours. Dwyer has also added choreography by Allison Berger and an original score by Sean Skahill for an enhanced multisensory experience. “I want the audience to be pulled away from the dependence on language and narrative by providing other textures of experience,” Dwyer says. For example, the play’s infamous demon bear is depicted not by a large fuzzy costume but by the actors, through movement and music. Dwyer says the play closely examines the institution of marriage with its inherent issues of power and parity. He expands that exploration to modern-day issues of marriage equality by gender-swapping certain characters. Muhlenberg College’s Theatre & Dance Department offers one of the top-rated college performance programs in the country, according to the Princeton Review rankings. Muhlenebrg is a liberal arts college of more than 2,200 students in Allentown, Pa., offering Bachelor of Arts degrees in theatre and dance. It has been named annually among the Fiske Guide to Colleges’ top 20 small college programs in the United States. “The Winter’s Tale” runs Nov. 20-24 in the Studio Theatre, Trexler Pavilion for Theatre & Dance, Muhlenberg College, 2400 Chew St., Allentown. Performances are Wednesday through Friday at 8 p.m., Saturday at 2 and 8 p.m., and Sunday at 2 p.m. Tickets and information are available at 484-664-3333 orwww.muhlenberg.edu/theatre&dance. Allentown, Pa. (June 13, 2011) – Muhlenberg Summer Music Theatre will present a performance of “Godspell” at 2 p.m. on Sunday, July 17 with Open Captioning (OC) for patrons who are deaf or hard of hearing and Audio Description (AD) for patrons who are blind or visually impaired. This performance is sponsored in part by the Tri-County Accessible Arts Coalition. Prior to the performance, there will be a tour and reception for audience members utilizing the services. The performance will be held in the Baker Theatre in the Trexler Pavilion for Theatre and Dance on the Muhlenberg College campus in Allentown, Pa.
“We are hoping that this performance provides the chance for other theaters and organizations in the Lehigh Valley to experience audio description and open captioning so that they can begin to offer these types of performances as well,” Bien says. “Godspell,” Stephen Schwartz’s upbeat retelling of biblical parables, is one of Broadway’s biggest successes, featuring a beloved and sparkling score—including the international hit “Day By Day.” The show will run July 13-31. Audio Description is a form of audio-visual translation, using the natural pauses in dialogue or between critical sound elements to insert narrative that translates the visual image into an audible form that is accessible to individuals who otherwise lack full access to live theatre. Using a single earpiece connected to an infrared headset, patrons who are blind or have low vision can listen to trained audio describers give live, verbal descriptions of actions, costumes, scenery, and other visual elements of a performance. Open captioning provides the audience with an electronic text display to the side of the stage which displays what the actors are saying or singing in real time. The display also describes sound effects on stage. To purchase tickets for the July 17 performance of “Godspell,” call Jess Bien at 484-664-3087 or email boxoffice@muhlenberg.edu. The number of headsets available for Audio Description is limited so it is suggested that reservations be made early. Tickets are only $10 for hearing impaired and visually impaired patrons and one companion can also purchase a ticket for $10. Tickets for regular performances can be purchased online at muhlenberg.edu/tickets, by calling 484-664-3333, or by visiting the box office located on the lower level of the Trexler Pavilion for Theatre and Dance, Mon.-Sat. from 10 a.m. to 6 p.m.
For more information contact Scott Snyder, at 484-664-3693 or scottsnyder@muhlenberg.edu.